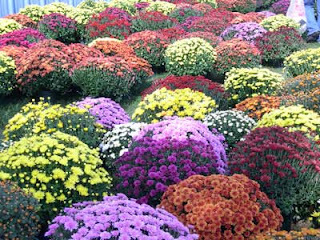 Miller Flowers will be at the market starting this week with their colorful, fall inspiring mums. E.A.T. Food for Life Farm: Your local, grass-fed, Certified-organic family farm. Check out the weekly CSA (Community Supported Agriculture) packages. Grass-fed chicken, beef, lamb, pork and buffalo. Grains such as rolled oats, spelt berries, crackers and flours. Try a sample of one of the varieties of hard cheese. For further information www.eatfoodforlife.com. Francis Byers: Long time market favorite, arrive early to get the best selection of yellow squash, zucchini, red potatoes, okra, beets, broccoli, cabbage, green beans, cucumbers, cantolope and more! Prayer Preserves: Tabitha and family pray over every batch of jelly and preserves they create. Taste a sample of peach, red raspberry, strawberry, blackberry, red raspberry wine or hot pepper jam. Communal Table: Handmade Rugs fresh off the loom will be available and if any other items are dropped off for sale. Wednesday, 2pm to 6pm, next to the Darke County Courthouse.